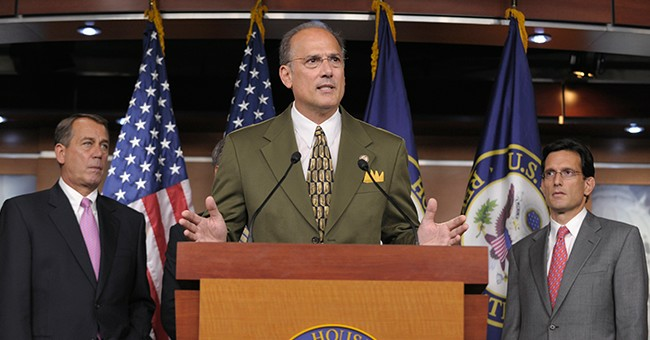 Rep. Tom Marino (R-PA) announced Thursday that he will be resigning from the U.S. House of Representatives at the end of the month after serving just three weeks of his new term. Pennsylvania's 12th District is heavily Republican and Marino easily won his 2018 reelection bid by over 30 points. Marino was a U.S. attorney in Pennsylvania under the George W. Bush administration, returned to private legal practice, and was first elected to the House in 2010. Marino beat cancer twice in 2000 and 2009 and was a spokesperson for cancer awareness in Congress. He was a vocal and early supporter of President Trump and was nominated for the role of director of the Office of National Drug Control Policy in 2017. He later withdrew his name from consideration for that post after media reports highlighted his past support for legislation that hurt federal efforts to fight opioid abuse.